We also have two visuals that can make the difference easier to understand. A bounce happens when a visitor enters your website, and leaves from the landing page, without visiting anything else on the site. The more bounces, the higher the bounce rate (the percentage of single-page sessions). Let’s put our imagination to work. Meet Auba! Below you can see him entering and leaving a web page. You can check the average Bounce Rate in the Audience – Overview report. Exit rate represents the percentage of visitors who click away to a different site from a particular page, after having visited any number of pages on your site. Let’s assume that Auba enters your site, then goes to a specific page, then to another, then to another and then leaves. The last page from this journey is considered an exit page, and it will contribute to determining Exit Rate. Here you can see Auba wandering through the site, from one to two or more different pages. The last one is the exit page. To check the exit rate in Google Analytics, you can go to Behavior – Site Content – All Pages. You can use segmentation to see more of what you’re interested. You can also set the device category or traffic source as secondary dimensions to give you a better understanding of why visitors leave your site. I’ll give you a hint to check faster the bounce rate and the exit rate, without entering a new tab. Google Analytics extension for Google Chrome can show you live data for the page you are on. What might increase bounce and exit rates? The exit rate can be high if the visitors found the information they needed, and then left the page. You always have to keep the context in mind when looking at bounce and exit rates. So, if you have a blog, or a simple presentation site, or Q&A, you will notice higher than average bounce rates. Don’t worry too much about it! Sites like StackOverflow or Quora will always have high bounce rates. People are getting the information they need on the first view, and then they leave. Does that mean that the sites are bad? Of course not! For websites that have high bounce rate, the time that a user spends on the website could be far from the truth. There is an alternative for sites on which the visitor lands exactly on the page he needs. It’s called adjusted bounce rate. The philosophy is quite simple: you can set a Google Analytics event to be sent after the visitor spends a certain amount of time on the page. This way, the visit is not counted as a bounce if the visitor spends the minimum amount of time you set. What’s the difference between bounce rate and exit rate? Bouncing and exiting are two completely different, independent concepts. DO NOT confuse the two. Exit rate can be either positive or negative (people may be driven to an online user publication to read a specific article, they find the page they need, read the article, and then they leave. This is not necessarily a negative). What values should bounce, and exit rates have? This is a very common question, and we want to give our input on it. There is no such thing as an ideal value. It will always fluctuate, from page to page, from site to site. 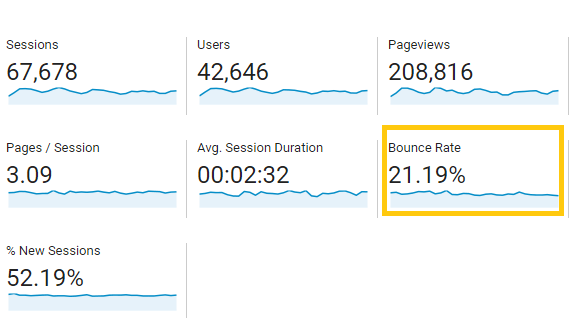 What to do to decrease the bounce rate? You must keep in mind that visitors should want to continue to visit your website. That being said, you can first disable the effects of annoying first impact elements, like intrusive sounds, or huge pop ups. You should have external links open in new tabs, to not disturb the session. Keep external links to the minimum might be a good idea as well. Next, add links to related content to that first page and build a legible menu, easy to use. And, most important, the content should be relevant to what your visitors expect to find on the page. Don’t forget that they came here following a promise you’ve made. What to do to decrease exit rate? First, research why people are leaving. You can begin by making adjustments adding catchy images or inspiring content. If you are an online store, you really want to optimize your exit pages. Relate products using links, sending visitors to other parts of the store. Ideally, you will guide them through a funnel that will eventually lead to a sale. Always give your clients a reason to stay. With that comes the technical resources that help them see everything you have to offer. Sparking their curiosity, making them want to explore instead of leaving will do wonders for your business! Do you think people go to the mall just for shopping purposes? Not all of them! Most go there because it’s an environment where they feel good. 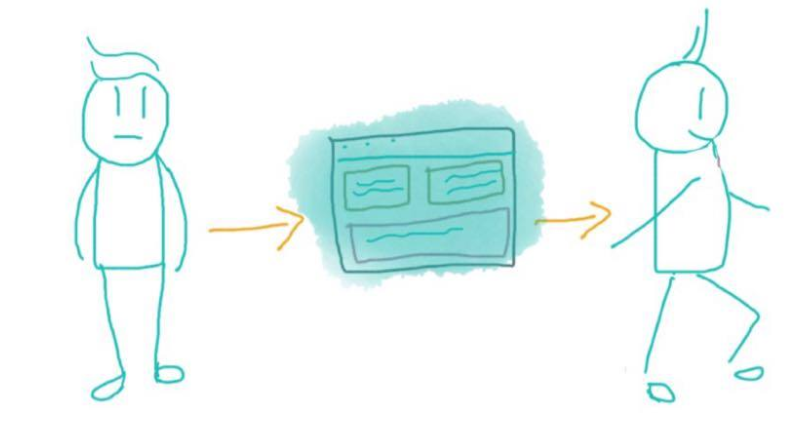 This is what you should try to recreate within your website or online store. If you can do it, you will win! For the more technical of you, we suggest installing some live tracking/heat-mapping software like inspectlet, hotjar, clicktale, etc. They will help you see where the users hang out, where they are clicking, and to understand their journey better. Think about a call to action too, if you feel that your visitors don’t know what to do next. And last, you need optimization especially for the pages that don’t create clicks. Take bounce rate and exit rate as a reminder that something goes wrong on your site, but not as a general rule. It always depends on other factors that you have to check before you take action. Consider both of them helpful, as a bulb that lights up when your user’s satisfaction is questioned. Lastly, let me know if this is how Google Analytics makes you feel sometimes.